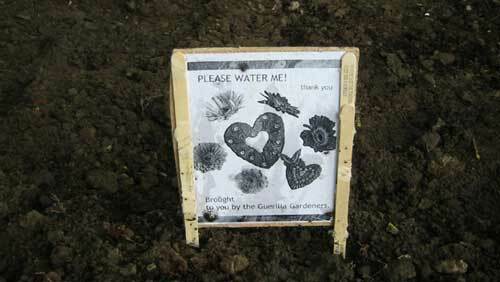 The TPSC’s Guerrilla Gardening posse will be doing their first planting of the year tomorrow afternoon. They’ll be meeting at the N.E. Corner of Queen and Parliament at 2:00. Guerrilla Gardening, for those of you who don’t know, is an urban intervention where you spruce up neglected parts of the city with flowers, plants and other green things. Sadly the weather sages at Environment Canada are predicting rain. On the other hand we’ve gardened in 30-degree heat and that’s no fun either. In other gardening news, Foodshare is holding their annual plant sale/AGM/free lunch tommorow. Details here.